← The Royal Family: An asset or a drain? I recently had to introduce the topic of Transnational Corporations (TNCs) to a group of Year 9 students. I decided to use Starbucks as the main example (all the lesson introduces a wealth of other examples). 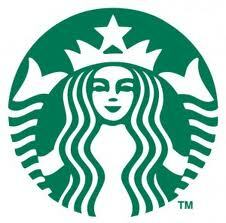 Starbucks is the largest coffee shop company in the world. It has over 17,000 stores in over 55 countries, and is usually a chain that most students are familiar with. The lesson consists of a game to start where students name as many TNCs as they can from the logos shown on the sheet provided. This can start a discussion about what a TNCs, their roles in the global economy and their characteristics.Then there is a further exercise where students are faced with two wheels, one showing a mixture of logos and country flags and company logos, then another showing a range of numbers which represent a mixture of TNC revenues and country GDP (both in millions $). Students should try to match up the correct logo/flag to the correct value. The idea is that students recognise that many TNCs have revenues larger than the GDP of many countries (and in some cases many the GDP of many countries put together). Then students move on to the main task of the lesson. Starbucks is introduced as a major TNC. I visited my local Starbucks store and explained what I was trying to teach and they were extremely helpful providing me with a class supply of leaflets about where all their coffee varieties come from, a large number of Starbucks takeaway cups to put resources in, a cup full of fresh coffee beans. 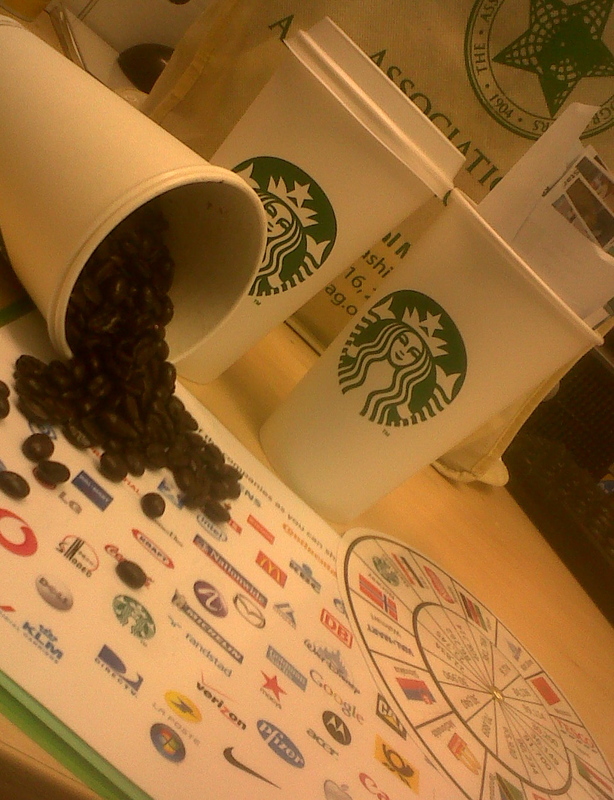 Each group is given a Starbucks cup full of resources (maps of store locations, images of different stores, company timeline etc.) and their task is to fill in the task sheet provided about Starbucks as a global coffee company. A class discussion can follow about what they can learn about the company from the resources provided. This entry was posted in Lesson Resources, Teaching and tagged coffee, lesson resources, Starbucks, Teaching, TNCs. Bookmark the permalink.